The legal fight over political appointees has dragged Governor Evers’ cabinet into the mix. An appeals court in Wausau ruled on Tuesday that the Governor was entirely within his right to pull a raft of Walker appointees that were voted in during last year’s lame duck session after a Dane County judge struck down the session, but before the appeals court issued a stay on the ruling. 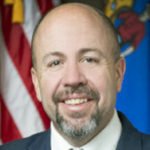 Senate Majority Leader Scott Fitzgerald said earlier in the day on Tuesday that he won’t allow Evers cabinet to come up for confirmation until the legal process was over in the case. Republicans are asking an appellate court to issue a stay on a judge’s ruling striking down last year’s lame duck laws. Legislative Republican leaders want to keep laws stripping power from the Governor and Attorney General in place while appeals are being handled. That request was filed in the Third District, which is in Wausau, and the groups fighting laws say that the case should be heard in Madison, where the ruling was made. 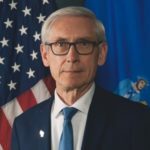 Governor Evers is asking to be heard in court before a decision is made. Wisconsin Attorney General Josh Kaul also says he wants to be involved in that case. Since the laws are technically the laws of the state, he’s arguing that the Attorney General’s office is required to step in when laws are declared to be unconstitutional. AG Kaul also says he’ll be defending the state in a series of filings from Planned Parenthood, which is challenging state laws that restrict access to abortion drugs and which prevent nurses from carrying out abortions. Under the laws that were struck down this week, Republicans were allowed to hire their own attorneys to represent them in cases, and they still plan to do so. They say Kaul can’t be impartial, because he received money from Planned Parenthood during his campaign. A Dane County judge has struck down a set of laws limiting the power of the Governor passed during the extraordinary session last year. Dane County judge Richard Niess has issued an injunction blocking enforcement of the laws that restrict the powers of the governor and the attorney general. Niess agreed with Democrats that the there was no justification to hold an extraordinary session. Those laws included measures that prevent the Governor or A G from withdrawing from lawsuits against the state without the permission of the legislature, or from changing the makeup of the Wisconsin Economic Development Corporation. Judge Niess also rejected a request to stay his order pending more litigation.